BEAUTY. 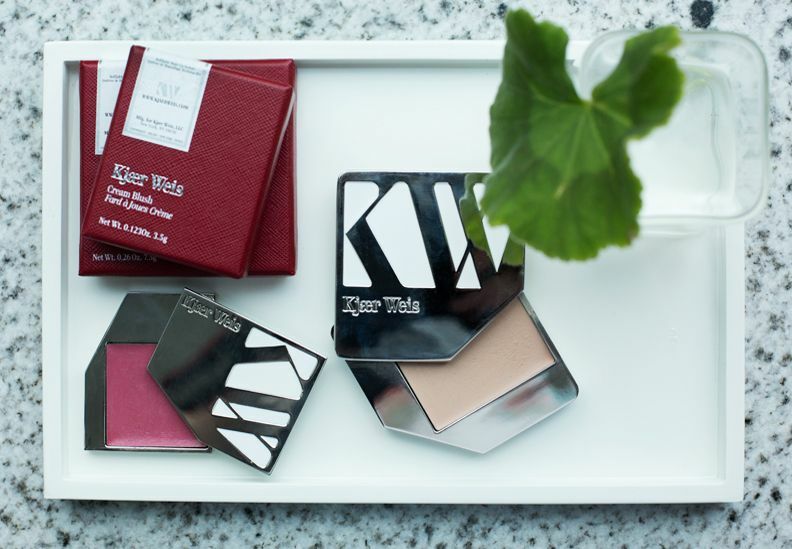 I’ve been dying to try Kjaer Weis organic makeup line for ages and when I stumbled upon it at Magasin du Nord in Copenhagen I decided to stock up on a couple of pieces. And thank God I did, because I think I might have found the holy grail of foundations. First of all, I’m a sucker for beautiful packaging, and this my friends, is as good as it gets. The product comes in the most gorgeous raspberry red boxes, and the sleek silver packaging of the product itself is super luxurious. Now on to the actual foundation! The color ‘Like Porcelain’ matches my super pale skin perfectly, glides on smoothly and pretty much makes my skin look like a luminous, better version of itself. As Kirsten Kjaer Weis herself puts it "You want people to notice how great you look, not how great your makeup looks." Amen to that. I also bought two of the cream blushes, ‘Lovely’ (pictured above) & ‘Desired glow’ (which I use as a bronzer/for contouring) and together they give your cheeks this subtle, natural flush, kind of like you’re glowing from within after doing 6 hours of yoga. So what’s the down side, you ask? Well, at $68 and $54 respectively, these products are definitely on the high end, but all of the products are refillable meaning you’ll end up spending less on the products in the long run, while doing something good for the environment, win-win. I’ve already added their mascara, eyeshadows + lip tints to my wish list and I think it’s safe to say that I’ve found a new favorite brand. Also, I’m always on the hunt for new things to try and would love to hear what some of your favorite organic beauty brands are? Please share your thoughts in the comment section below! Disclaimer: I’m not being paid to write this, I’m just genuinely a big fan of the brand & the products! KJAER WEIS cream foundation in ‘Like Porcelain‘. KJAER WEIS blush in ‘Lovely‘.